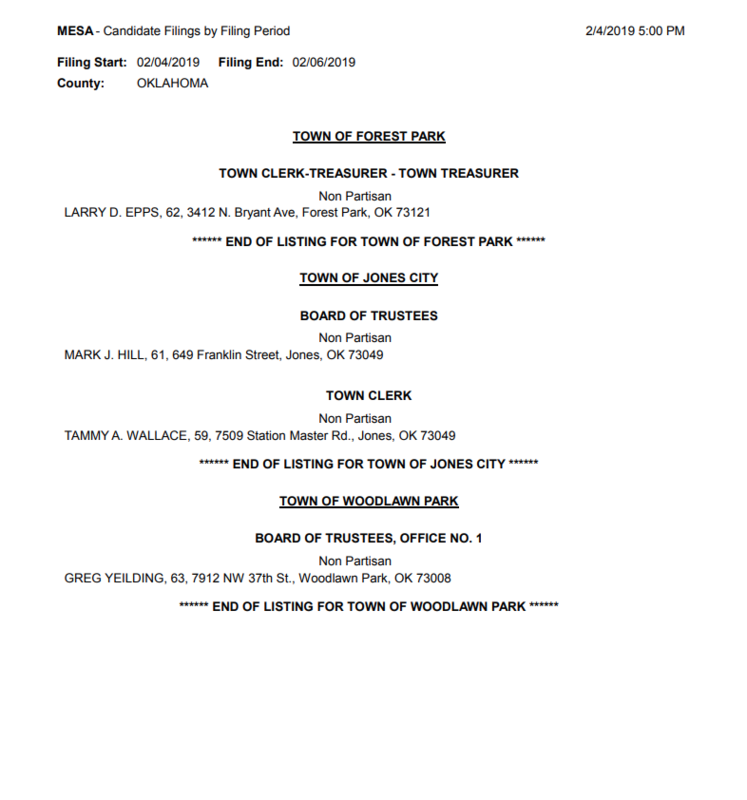 No candidates filed today to fun for one of two seats on the Luther Town Board. Filing began Monday and ends at 5 pm Wednesday at the Oklahoma County Election Board. In the landmark 2017 Town Board election with four trustee seats and the clerk/treasurer position, a total of 11 candidates filed during the three day period. 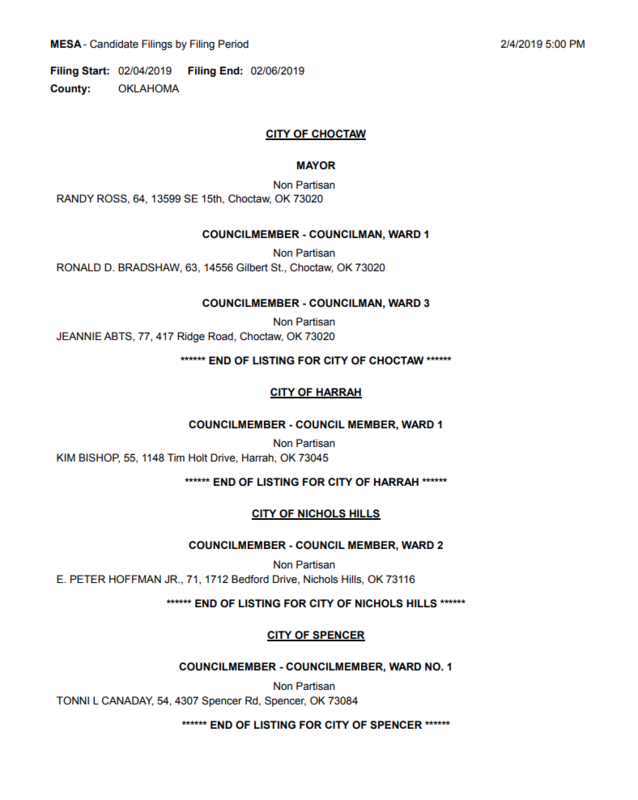 Here’s a roster of other filings for Day One provided by the election board.